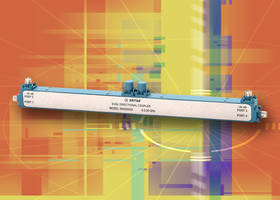 Model 500520020 Dual Directional Coupler is operated in a temperature range of -54° to 85° C. Unit is suitable for signal monitoring and measurement, antenna beam forming, cable distributed systems, and military and EMC testing applications. This product is equipped with industry-standard SMA female connectors and offers insertion loss of 2.0 dB, directivity of 12 dB and VSWR is 1.4. Model 500520020 provides average input power rating of 20 W and 3 kW at peak. KRYTAR, Inc., a leader in the design and production of ultra-broadband microwave components and test equipment announces the continued expansion of its line of dual directional couplers with the addition of a new model offering 20 dB of Coupling over the ultra-broadband frequency range of 0.5 to 20.0 GHz, in a single, compact and lightweight package. 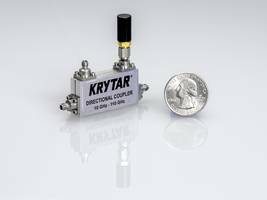 KRYTAR’s new dual directional coupler expands the family of superior performance products offering ultra-broadband coverage in compact packages. 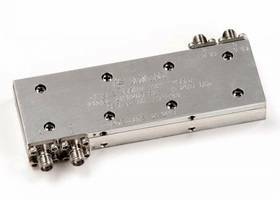 KRYTAR’s Model 500520020 is a multi-purpose, stripline design that exhibits excellent coupling over the 0.5 to 20.0 GHz frequency band. 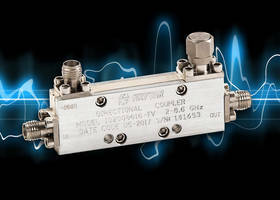 This new coupler is uniquely designed for systems applications where external leveling, precise monitoring, signal mixing or swept transmission and reflection measurements are required. 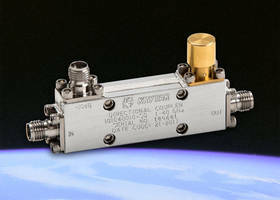 Targeting broadband electronic warfare (EW) systems and commercial wireless system applications, for example, KRYTAR’s dual directional couplers are also used in signal monitoring and measurement, antenna beam forming, cable distributed systems, and military and EMC testing environments. The compact size, makes KRYTAR dual directional couplers ideal solutions in many space-restricted applications. KRYTAR’s Model 500520020 has enhanced the product line with performance ratings including Nominal Coupling (with respect to output) of 20 dB, ±1.2 dB and Frequency Sensitivity of ±0.85 dB. The dual directional coupler exhibits Insertion Loss of 2.0 dB, Directivity of 12 dB, Maximum VSWR (any port) is 1.4, Input Power Rating is 20 W average and 3 kW peak. 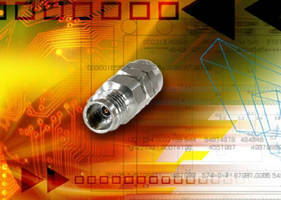 This dual directional coupler comes with industry-standard SMA female connectors. The compact package measures 8.98 inches (L) x 0.53 inches (W) x 0.71 inches (H), and weigh just 7.0 ounces. Operating temperature is -54° to 85° C. The dual directional coupler can also be manufactured to meet ridged military specifications.